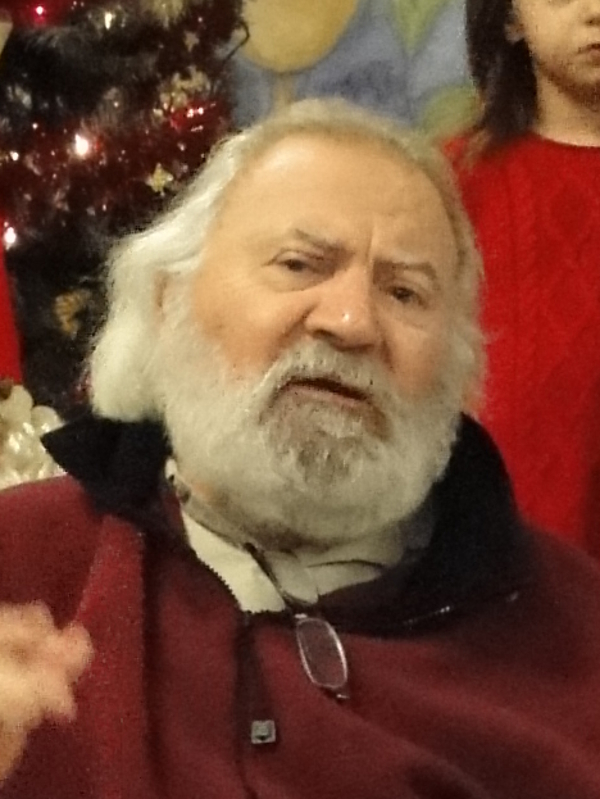 Sebastiano “Jim” Bari left us on April 4th. Beloved husband of the late Flavia (Ascolillo) Bari. Loving father of Maria Farrell and her husband John and Carmelo Bari and his wife Sharon, all of Malden. Devoted grandfather of Mila, Matteo and Francesco. Brother of Joseph and Philip Bari. Brother-in-law of Vito Ascolillo. He is also survived by several nieces and nephews and many cousins. Jim was born in Augusta, Sicily on March 4th, 1945 to his parents Maria (Ciciulla) and Carmelo Bari. He was raised in the West End of Boston and later moved to Malden in 1970. 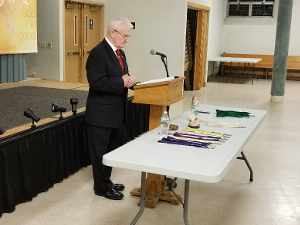 He received his Bachelor’s Degree in Business Administration at Northeastern University in 1970 and later received his Master’s Degree in Education at Eastern Nazarene College in 1993. Jim was a teacher at Malden High School where he was also the Head Coach of the Girls Soccer Team and the Class Advisor to the Class of 2007. He was dedicated to serving the community, especially with activities that involved helping children. 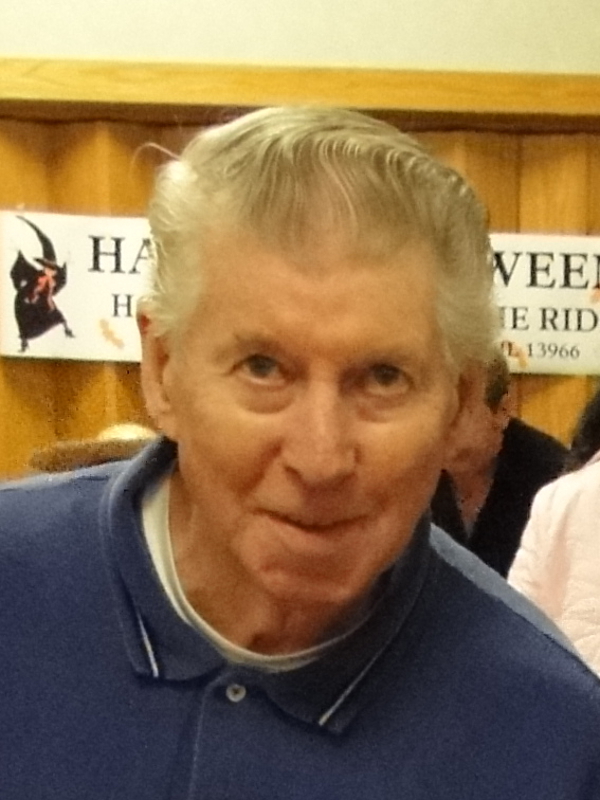 He served as a youth soccer coach in Malden for many years. 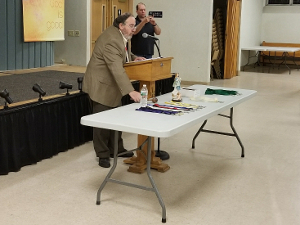 He was the Past President of the East Boston Kiwanis Club from 1977-1978 and the Lieutenant Governor for the Boston Area New England District of Kiwanis from 1980-1981. He also ran the Kiwanis Summer Camp, Camp Allen, during the summer of 1981. Jim was an active parishioner at Immaculate Conception Parish in Malden. He was a member of the Knights of Columbus and the Divine Mercy Prayer Group at the Parish. He was also active in the Cursillo Community. During the 1980’s, Jim owned and operated Sebastiano’s Porthouse of Pizza in Newburyport. He honored the Knights for years with his knowledge of food preparation at their breakfasts and dinners. Adapted from the Boston Globe. 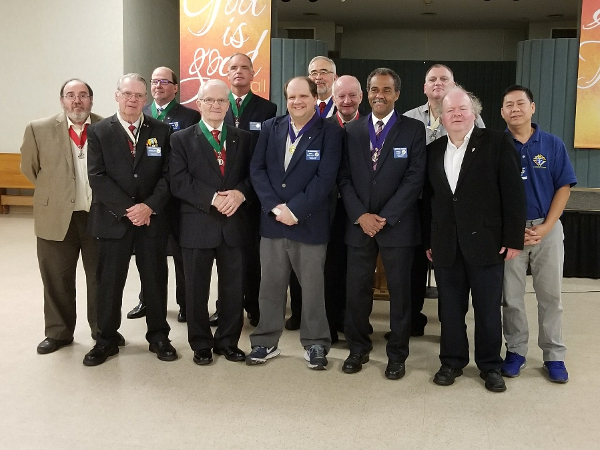 December 17, 2017: The Knights visited Sacred Heart after masses to present the possibility of Knighthood for even more Catholic men from the parish. Pat Shea, Johnny Tran, Antoine Schettini, ? 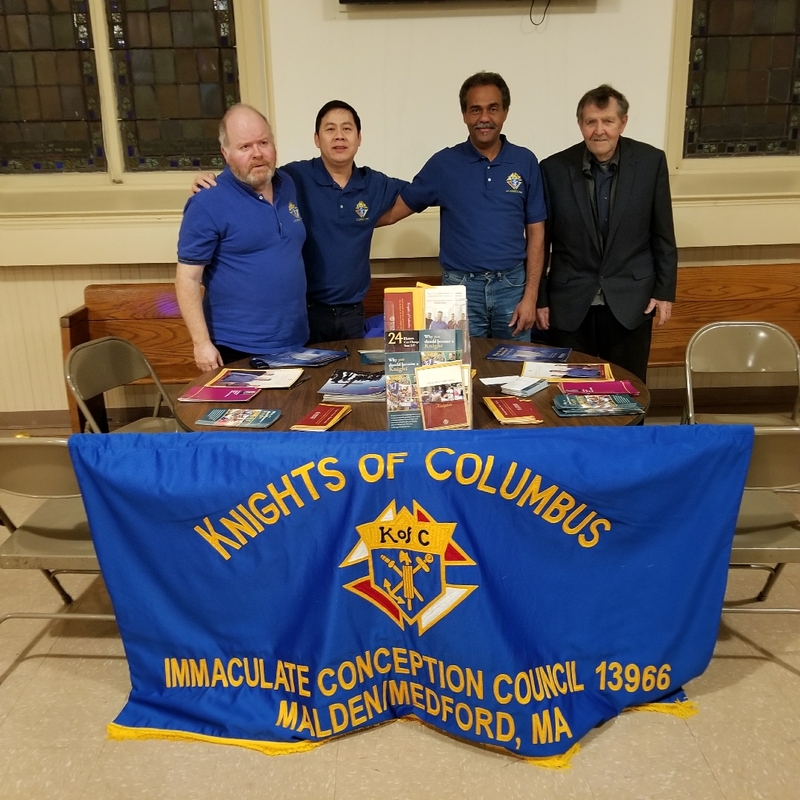 present the Knights at Sacred Heart Parish. December 10, 2017: After long and careful negotiations, the Knights managed to arrange a visit by Father Christmas himself, Bishop Nicholas of Myra in a second career. 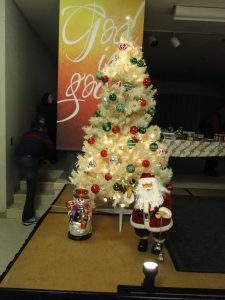 The stage was decorated to receive the presence of Santa. Please join us as we lay the foundations for the next fraternal year. First, we will elect a new slate of officers. Second, we will consider a proposed calendar for the coming year. Going forward we will have leaders and a plan. Monday, June 5, 2017 at 7pm in the Parish Hall. 1 Yr Trustee John Farrell Sr.